Bill Frisell is one of the most respected – and adventurous – guitarists active today. 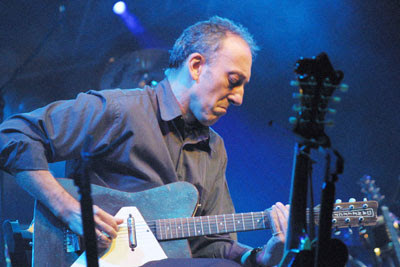 Labeling him a “jazz guitarist” just imposes unnecessary constraints on his body of work. On January 30, at Philadelphia’s World Café Live, Frisell showed why this is so, tangling such easy descriptions with a brilliant set by his Beautiful Dreamers trio project. 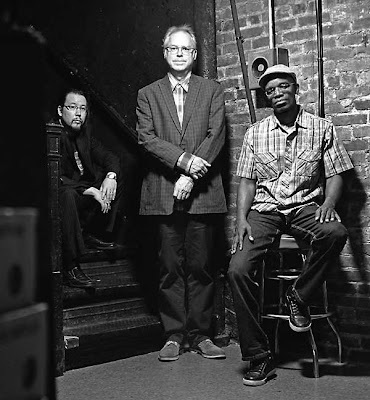 Beautiful Dreamers (left to right): Eyvind Kang, Bill Frisell, Rudy Royston. Armed with his familiar white Fender Telecaster, Frisell began the night with a quiet, hesitant, and nearly discordant duel with the amplified violin of Eyvind Kang. But the extrapolation gained urgency and solid musical footing with the entrance of Rudy Royston’s drums, becoming more insistent and providing a forward surge to the duel between the instrumentalists. Dreamscapes: the effects of Eyvind Kang (foreground) and Bill Frisell (top). Much has been made of the extent to which Frisell’s sound is sculpted by guitar effects, but the real focus should be on how he deploys the electronic arsenal at his feet. Frisell’s use of effects is so musical that – with the exception of the more obvious and strident reverse swells that swooped through some of the most energetic moments – it’s easy to ignore the fact that effects are even in use, so beautifully does he subtly arrange their use in service to the music. Beautiful Dreamers at World Cafe Live. For all of the fantastic music of the Beautiful Dreamers’ set, the encore offered the evening’s most sublime journey: a stunning rendering of “Strawberry Fields Forever.” As Kang crafted a loop that set up the familiar repeating string descent phrase of the song’s latter half, Frisell deftly cast sonically glowing harmonics into his fretted melodic runs. The standing ovation that the large crowd offered Beautiful Dreamers was a testament to the abundance of musical highlights that had been shared with them during this singular performance. 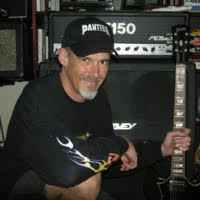 Another guitarist known for bold creativity is Freddy Koella, a long-time associate of Willy DeVille and many others but likely best known for his stint in Bob Dylan’s band during 2003 and 2004. 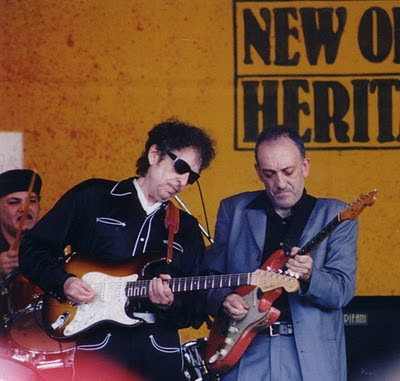 Bob Dylan and Freddy Koella on stage in New Orleans. Freddy Koella plays slide on an old Danelectro guitar. In 2005 Koella released his first solo CD, Minimal. As its title indicated, the one-man music within was a dramatic step back from the forceful attacks unleashed on the Dylan tours. Last year, Koella followed up his first release with a new solo project, Undone. This latest effort is definitely a moody, late night album, sometimes calling to mind Twin Peaks soundtracks, or even the sonic vibe of Freddy's best-known employer on Dylan’s Time Out of Mind album. Undone is instrumental and rich in atmosphere, a mix of solo guitar and band tracks. Subtly using the dynamics of a live band on the tracks accompanied by upright bassist David Piltch and drummer Jay Bellerose, Koella explores clever hesitations in "Trio." "Walking in G" may be in G, and may be a walk, but it's an intriguing one, mimicking a distinctly unsteady gait. When soloing, Koella’s not just flying off the face of the earth, but working his accompaniment, restrained and deep in the sparse groove. Cover art, Freddy Koella's Undone. 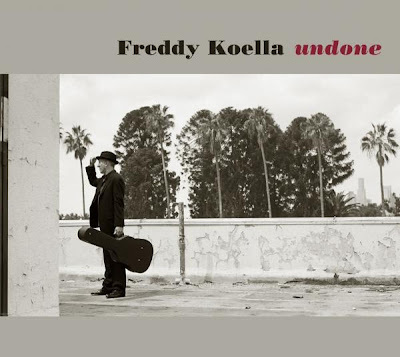 By the time the final track eerily fades into silence, it's become clear that Undone is a beautiful, involving recording, one with a title that "refers to taking apart the forms of blues, folk or classical music," as Koella has said. And after hearing "Elephant" cruising along on a pulse that's nearly bossa nova, with Freddy weaving his decidedly nontraditional lines, I came to a realization: although Freddy Koella and Bill Frisell are guitarists from far different backgrounds, the idea of the two collaborating is one that I'm pretty certain would lead to some fascinating music.